Marcus & Millichap is pleased to announce the sale of Brenton Hall and Hampden Manor – Both located on the Main Line in Narberth, PA.
NARBERTH, Pa., November 17, 2017 – Marcus & Millichap (NYSE: MMI), a leading commercial real estate investment services firm with offices throughout the United States and Canada, announced the sale of 2 apartment buildings, Brenton Hall and Hampden Manor, located in Narberth, Pa.
Clarke Talone, First Vice President Investments, Ridge MacLaren, Senior Vice President Investments and Andrew Townsend, First Vice President Investments all within the firm’s Philadelphia office, had the exclusive listing to market the properties on behalf of the seller and procured the buyer. 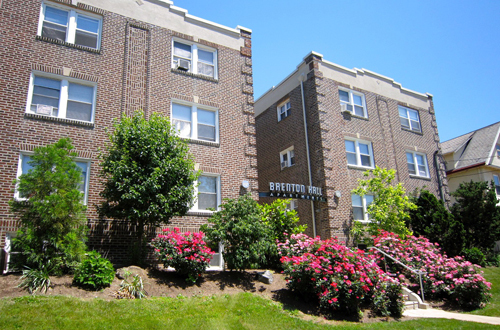 Brenton Hall is located at 115 North Essex Avenue in Narberth, Pa. The three-story, mid-rise building was constructed in 1926 with vast capital improvements, including common area upgrades, new signage, fresh paint, new lighting/fixtures, and modern kitchens. The unit mix in the building is comprised of studio and one-bedroom apartments. Hampden Manor is located at 325 Haverford Avenue in Narberth, Pa. The two-story, low-rise building was constructed in 1963 with vast capital improvements, including new windows and sliding doors throughout, conversion to natural gas, and new exterior paint and signage. The unit mix in the building is comprised of one- and two-bedroom apartments. 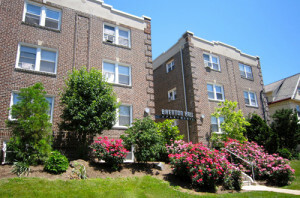 Brenton Hall and Hampden Manor are situated near the heart of downtown Narberth, Pa. The properties are just a short walk to the Narberth Train Station, which provides regular service to Center City Philadelphia in less than 20 minutes.